Elissa Edwards, award-winning soprano, specializes in music primarily of the 17th and 18th centuries, and her performances bring to light underperformed, yet stunning works from these periods. She is the co-founder and Creative Director of the Élan Ensemble - Historic Music Annapolis. 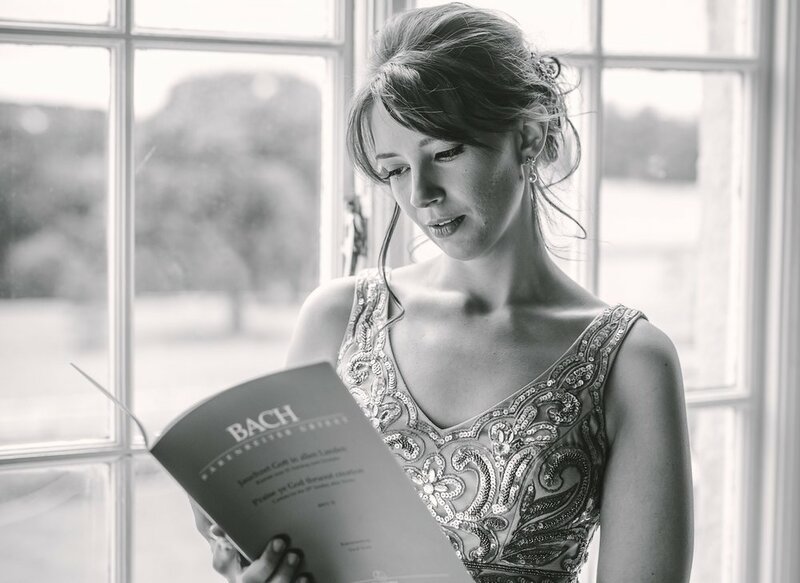 Ms. Edwards began her training at Houston Grand Opera and obtained her performance degrees from Boston University (BA) and University of York, England (MA), where she studied under Martin Pearlman of Boston Baroque and Peter Seymour of Yorkshire Baroque Soloists, with additional studies at the Royal College of Music, London. She currently studies with Dr. Julianne Baird. Anastasia Pike, harpist, enjoys a multi-faceted career as a performer and educator. Dr. Pike has performed in venues including Carnegie Hall, Lincoln Center, and the Kennedy Center. She co-founded the the Elán Ensemble and also the Sprezzatura Duo, which commissions and premiers new works, most recently at the 2016 American Harp Society’s (AHS) National Conference.